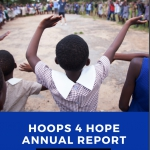 HOOPS 4 HOPE (H4H), an international non-profit that has been operating for the last 23 years in underserved communities throughout Zimbabwe and South Africa, proudly shares its accomplishments in 2018. The Kazickas Family Foundation has been supporting H4H since 2015 and last year $45,000 of KFF funds have been invested into program's growth. 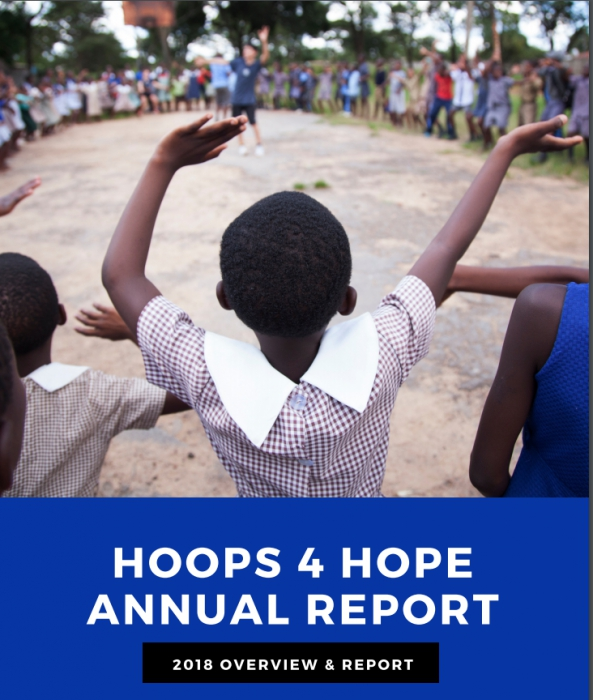 "In 2018 Hoops 4 Hope succeeded in delivering our holistic community programs to thousands of young people who are growing up with tremendous hardships. We continue to provide safe places for these children to play, interact, stay healthy, learn about social issues and good values, become more confident, stay hopeful and contribute positively to their communities. We are making a long-term investment in the leader ship and skills of our coaches and volunteers, elevating their capacities to be the real role models in their communities who need them most. On behalf of H4H, we thank all of our supporters, staff and volunteers who through the spirit of Ubuntu make our tremendous programs possible." Among many projects and improvements (...) "Through a generous grant donation by the Kazickas Family Foundation, a Bore Hole was installed in H4H Center in Zimbabwe. This was a game-changer for our program allowing us direct access to clean and free drinking water, helping us become more sustainable. (...) Our Global team is helping organizations like Youth Can in Lithuania, who has successfully adopted our model to positively impact youth in their country. H4H frequently collaborates with them to share our curriculum, coaching techniques, and best practices."